1. WHAT BIKE SHOULD I BUY? 2. DO I NEED CLIPLESS PEDALS? 3. WHAT CLOTHES DO I NEED? 4. WHAT GEAR SHOULD I BUY? 5. WHERE CAN I RIDE? 6. WHAT SKILLS DO I NEED? HOW DO I CLIMB HILLS? WHAT SHOULD I DO ABOUT OBSTACLES? 7. 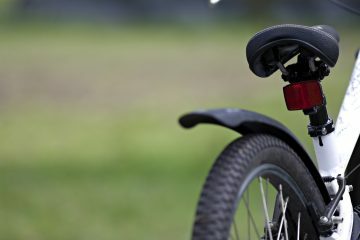 HOW DO I MAINTAIN MY BIKE? 8. HOW DO I CHANGE A FLAT? HOW DO I GET ON THE BIKE? WHAT AIR PRESSURE SHOULD I USE? HOW DO I MEET OTHER RIDERS AND HELP OUT? 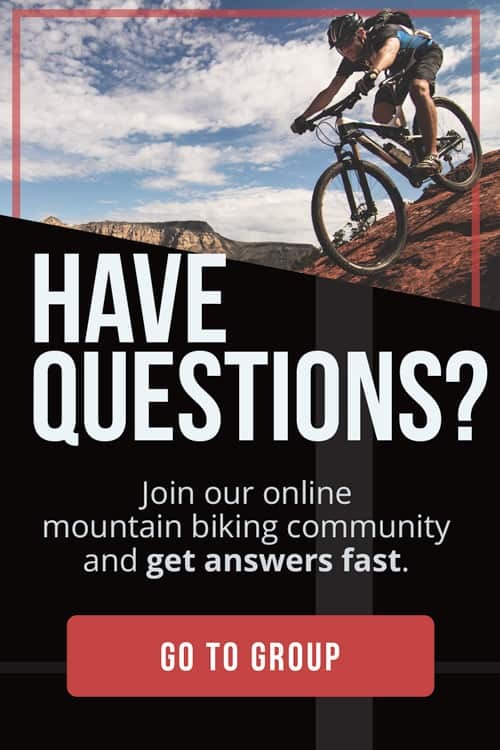 What got you interested in mountain biking? Three years of fads, from fat bikes to bikepacking to the 29er craze, have coincided with a growing interest in the sport. Whatever your starting point, we’re here to show you how to start mountain biking. The benefits are extensive. Hours spent in the wilderness refresh the mind and build physical fitness, and it’s a perfect group activity. However, it can be difficult to get started. Cycling has an arcane culture, a unique vocabulary, and specialized equipment needs. We can help. One of our goals at The Adventure Junkies is to help you follow your interests wherever they may take you. In this guide, we’ll teach you the basics and break down the data so you can get off the computer and onto the trails. The short answer is: Buy the best bike you can afford. Consider how you want to ride and who you want to ride with. What makes this complicated is just how specialized mountain biking has become; it’s not unusual for riders to own bikes for different styles of riding. It wasn’t always this way. The modern mountain bike got its start in Marin County, California in the 1960s. Local riders adapted vintage schwinn beach cruisers and rode them everywhere. Today, we have specialized bikes for downhill racing, trail bikes for generalists, all mountain bikes for serious off-roaders, and many more. 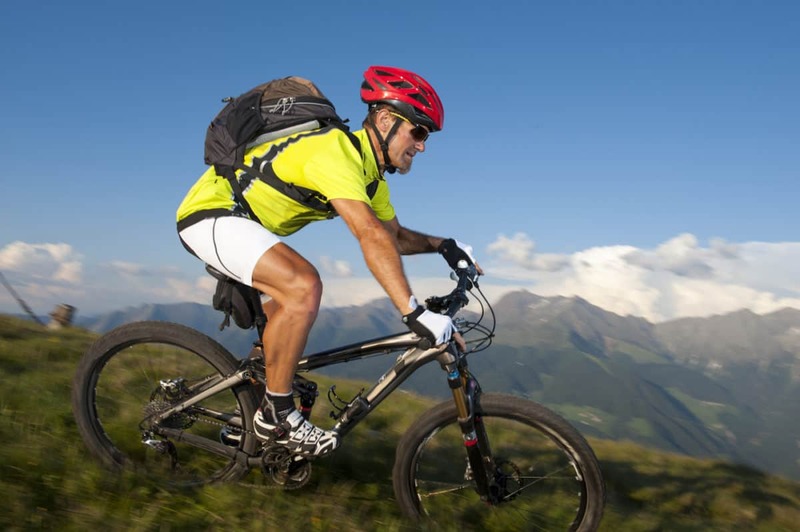 Our article on the types of mountain bikes summarizes the different categories. British used bicycle site, BikeExchange.co.uk, also offers a thoughtful breakdown of components, bike styles and price points. No. Clipless pedals, or clip-ins as they’re colloquially known, are an absolute must for serious road riders. On a mountain bike, they’re merely an option and not always the best one. Long-distance enduro and cyclocross riders will probably prefer clipless. But downhill, fat tire and even generalist trail riders may be happier with a simple pair of sneakers and standard platform pedals. When over unfamiliar terrain, even long-distance riders may prefer flat pedals for the versatility and flexibility they offer. A previous article, Mountain Bike Pedals 101, explains the differences and offers a buyer’s guide to pedals. I know what you’re really asking, and the answer is no. You don’t need to wear skin-tight shorts. Unlike road cycling, mountain biking has a variety of widely available styles for bike shorts and clothing. Mountain bike shorts tend to be more modest than road, with baggier designs, pockets and other features that make them look like regular casual wear. According to The Clymb, fit is a top consideration, regardless of how stretchy spandex is. We’ve reviewed 10 of the best mountain bike shorts in our article, Mountain Bike Shorts 101, to help you make your purchase. In addition to shorts, baseline clothing includes an ANSI-approved helmet, impact-resistant sunglasses and finger-less gloves. These are essential safety items for all mtb riders. Keep comfort in mind, too. The safest gear is the gear you’ll actually wear. Weather and specialization will influence your clothing needs. Outdoor recreation site Mpora has a helpful breakdown through categories, temperature and weather conditions. You’ll need more than the clothes on your back. Retailer REI has a comprehensive checklist of virtually everything a rider will need, from first aid kits to duct tape. This list may be excessive for your first couple of rides, so don’t worry about all of the specialized tools. Focus on core gear, clothing and personal items. Then, assess the rest based on your level of risk and comfort. If you’ll be riding trails at a local park, chances are you don’t have to bring a repair kit. Just be prepared to walk your bike back to the parking lot in the unlikely event that something breaks. Anywhere it’s legal. Trail growth is exponential, and most cyclists will be able to find something within a short distance of home. According to Total: Women’s Cycling, trails should be helpfully marked by color to designate difficulty. From easiest to hardest, trails are marked as green, blue, red and black. Conversely, you should not ride where you are not legally allowed or where mountain bikes are discouraged. Think about good stewardship when you ride. Mountain biking is a growing sport, and it’s important to keep it sustainable and popular with park administrations. 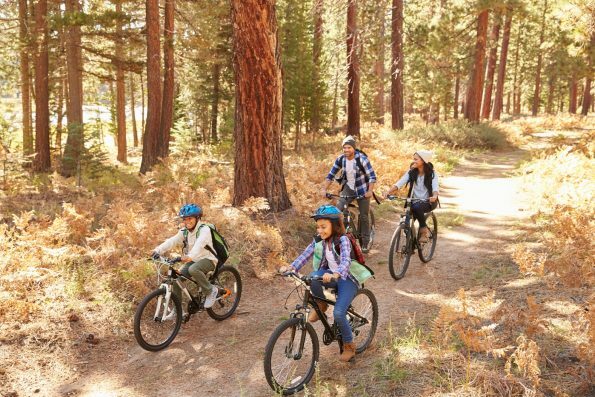 Even on designated mountain bike trails, consider stewardship of the trail a top priority, especially on single track or other specific mountain bike trails. Carving up an existing trail to into smaller trails is called braiding, and it should be heavily discouraged. If a trail is too technical or challenging, dismount and walk your bike around the obstacles, do not forge your own way on bike. Make sure that a trail permits riding in the conditions you’ll ride it in; many single track trails are shut for rain and mud to maintain trail integrity and limit erosion. You’ll need to know how to climb, avoid obstacles and shift. Breathing is key. It’s the first of nine tips according to Singletracks. Some of their other tips include focus on the mental aspects, stay seat seated and maintain a fast cadence and good momentum. Those last two may sound insulting if you struggle on hills because that’s precisely what you’re trying to do. If you can’t keep the pedals turning, don’t fret about hopping off and walking the bike a little ways. You’ll get stronger with each ride and the climbs will only get easier. With a little skill, you’ll find you can simply leap over some obstacles. 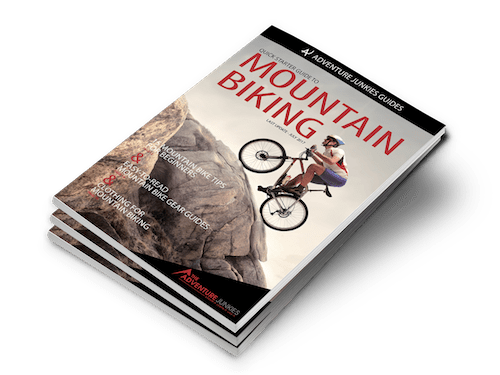 Fellow The Adventure Junkies expert Richard Bailey has written How to Bunny Hop a Mountain Bike, listing all the steps. Practice this and all other skills in safe areas before trying them on the trails. For small rocks and bumps, simply stay relaxed while holding the bars firmly. Let your muscles easily absorb the impact. Tensing up will be painful and transfer the impact to your spine and the bike. For mud, simply continue in a straight line and try not to make any sudden turns or decelerations. You should shift gears often before you need them. Shift into the small front ring, then up the rear cog for climbs and into the big front ring and down the rear cog for descents. Before you shift, power stroke once. Then, shift as you soft pedal for your next turn. Try to keep cadence fairly high. If you’re cadence is low, it’s a sign that your chain is probably under too much load to shift smoothly. If your bike shifts poorly even with good technique, you may need a new chain or at least a thorough cleaning and greasing. In practice, there are less useful gears than you might think. If you have two chain rings in the front and a 10-speed cog in the back, you don’t really have 20 distinct gears. There is some overlap and you want to avoid extreme differences in shifting. If you’re using the smaller front chain rings, you should stay towards the top half of the rear cog. In the bigger front chain rings, you’ll want to be in the lower half of the rear cog. Using the biggest ring with the biggest cogs or the smallest ring with the smallest cogs can result in cross chaining, which can lock the wheel and stop you. There are a lot of steps in proper bike maintenance. The first is cleaning. 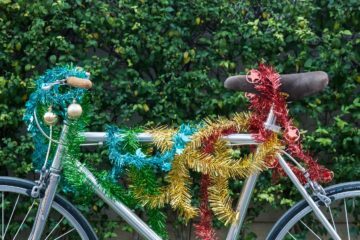 Global Cycling Network has a set of videos for road bicycles that are easy to follow and should get you started on having a clean, functioning bike. 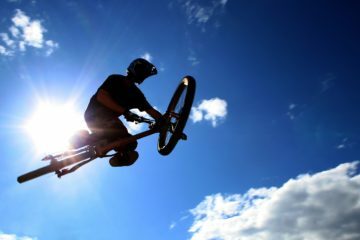 Mountain bikes have specific parts, suspension and disc brakes for two that will take different steps. Read the owner’s manual or ask your bike shop to learn about those. It can seem daunting, but it’s not that hard when you’ve done it a few times. Start by watching some YouTube videos showing how it’s done. There are other types of tires, tubes and systems. If you have a specialty system, don’t be afraid to ask your bike seller for instructions. Most shops offer some sort of flat repair clinic. If not, look for local advocacy or rider groups in your area. 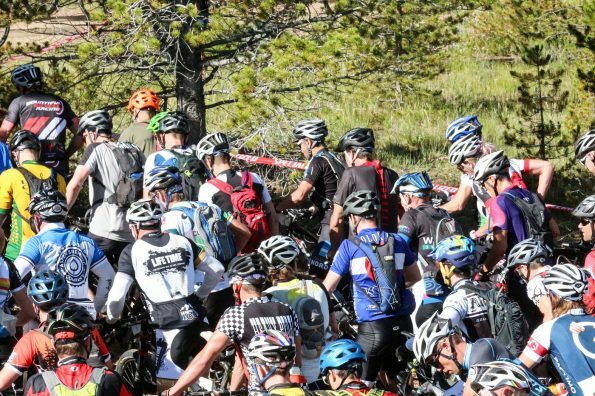 There’s so much more to know about mountain biking but until you’ve started, you may not know to ask the following. Don’t try to sit down first. Standing in front of the saddle over the pedals, put one foot in a pedal and step down. Then, place your second foot on the second pedal and sit down as you pedal away. On a road bike, high pressure is critical but mountain bike tire pressure is more of a Goldilocks equation. You want just enough air pressure; not too much, and not too low. Too much air pressure will make rides uncomfortable and too little will lead to pinch flats. Check your tires for recommended pressure, and then deflate slightly if they’re too full. Many riders will be comfortable from 30 to 45 PSI. Look for local trail maintenance groups on Facebook or on posters at your favorite trails. Volunteer to clear brush and meet some of your fellow riders. You can also connect online through apps like Strava, MapMyRide or RideWithGPS. These apps let you share your rides, create routes and view the routes and rides of others. Singletracks and the MTB Project are two great websites to meet other riders and find rides in your area. Mary-Elizabeth Schurrer has written another piece for The Adventure Junkies, summarizing virtually everything a beginner really needs to know and consider. 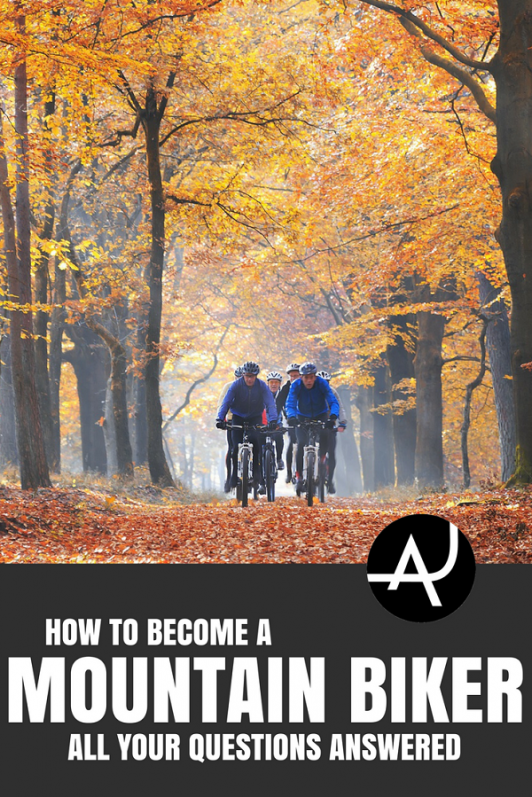 See her article, 15 Beginner Mountain Bike Tips, for a breakdown.